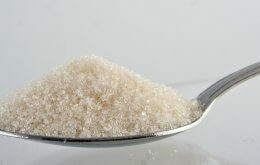 The major breakthrough of this discovery is of how glucose uptake is stimulated in brown fat. This knowledge can be used to pharmacologically stimulate this signalling pathway and lower blood sugar levels, which could lead to a cure for type 2 diabetes. “One of the most interesting characteristics of this newly discovered signal pathway is that it differs from the signal pathway triggered by insulin. This means that the signal pathway in brown fat can most likely be activated even in patients with type 2 diabetes, where the insulin signalling is impaired,” says Professor Tore Bengtsson from the Department of Molecular Biosciences, the Wenner-Gren Institute, Stockholm University. Although type 2 diabetes is a very serious and growing disease, there is still no definitive treatment or cure. “Finding new ways to stimulate glucose uptake in tissues and thereby lower blood sugar levels is thus a matter of great interest,” says Tore Bengtsson. The picture shows a fluorescent microscopic image of brown fat cells. 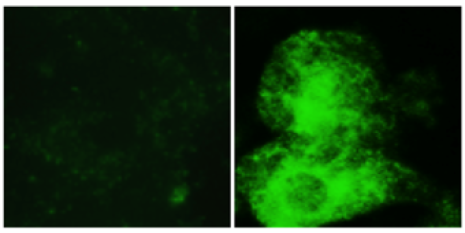 The cells have been stained for glucose transporter 1 (GLUT1) (green). The new signal pathway has been identified by studying how glucose transporters move from the inside to the outside of brown fat cells during stimulation. Brown fat has been shown to be active in adults and is one of the tissues in the body that can be stimulated to the highest uptake of glucose per gram of tissue. Consequently, an increase in the uptake of glucose in brown fat can rapidly lower blood sugar levels. “Our study shows that the body’s own stress hormones, epinephrine and norepinephrine, increase the uptake of glucose in brown fat. Epinephrine and norepinephrine can affect almost all our bodily organs by binding to receptors on the surface of a cell. We have shown how, and by what mechanism, adrenergic receptors found on brown fat stimulate the uptake of glucose. This is completely new and ground-breaking research”, says Tore Bengtsson. More than 382 million people around the world have been diagnosed with type 2 diabetes, and this number is growing rapidly. The risk of developing type 2 diabetes at some point in life is more than 30 per cent. What happens at the molecular level in a person with type 2 diabetes is that the body’s tissues lose their ability to respond to insulin, which means that they are unable to take up sugar from the blood. Insulin is released after eating and is the most important hormone for regulating blood sugar. When the insulin signal does not work, this leads to elevated blood sugar levels. Excessively high levels of blood sugar are dangerous to most bodily organs and lead to many different complications, including heart disease, kidney failure, blindness, damage to the peripheral nervous system, as well as amputations and premature death. The study was partly funded by the Swedish Research Council and carried out by researchers from Stockholm University.